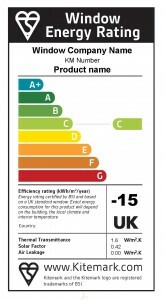 Window Energy Rating – how energy efficient is my integral double glazing? The Window Energy Rating (WER) is a system that allows you to know just how energy-efficient your double glazed windows are. 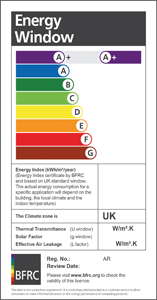 The rating system is based on a an eight point scale, The scale is labelled from A+ at the top end down to G for the most energy inefficient windows. You will no doubt be familiar with the energy rating system used on white goods, like washing machines, fridges or freezers. The principle is very similar. Regularly touted figures show that up to 25% of the heat lost from a house is through the windows. This is one area that is worth looking at to lower this heat loss. If you are having double glazing fitted for the first time then the benefits of fitting and A or A+ rated window will be well worth it. However, the difference between C and A+ is much less noticeable. Sunshade Blinds use Planitherm™ energy saving glass that is manufactured by Saint-Gobain Glass because we have found it to be a market leader in energy efficient glass for double glazing. It is worth noting that the WERS rating refers to the whole window – the frame and the glass. If you sell these components separately, then that WERS rating will not be relevant; it is the total system. 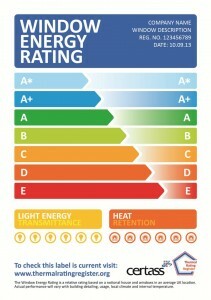 So how does Window Energy Rating work? Just how effectively the window unit keeps the heat inside your home. Is there any air infiltration through the window seals? The idea of the WERs is to have a standard that is consistent across all products. It is also judged against a standard window size and layout. After the calculation of the formula, a result is produced that will give a value that will be placed in the scale A to G. Obviously, the A-rated windows are the most energy-efficient. 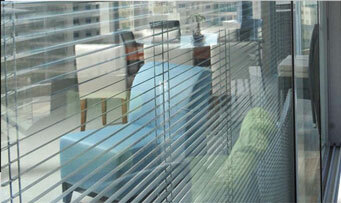 The WERs are supported by various registered bodies who audit window installers. Examples of typical labels are shown below.